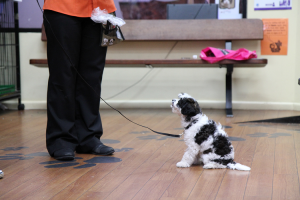 Our puppy preschool course designed to guide you through the ‘how to’ in using positive and rewarding methods to train your puppy with basic obedience and maybe even a trick or two! ​Over 4 weeks, we will cover sit, drop, stay, loose lead walking and other items that will get your puppy on the road to be a happy and well behaved member of your family. This is also an excellent opportunity for your puppy to meet and play with other pups in the class as socialization is key to helping them group up to be well adjusted dogs. Puppies must be up to date with their vaccinations.